SMT Hybrid Packaging is a an annual industry fair for electronics assembly taking place in Nuremberg in the south of Germany. 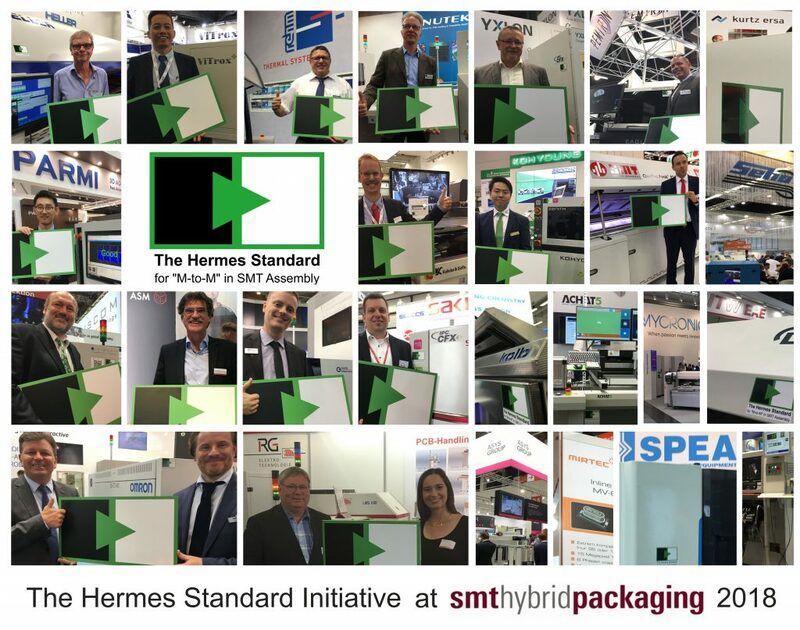 For the members of The Hermes Standard Initiative it was another great opportunity to give evidence of the rapidly advancing solution space of The Hermes Standard. It was a great pleasure to see customers and members alike being quite excited about how The Hermes Standard developed forth since its first release only 15 months earlier. Thank You very much!